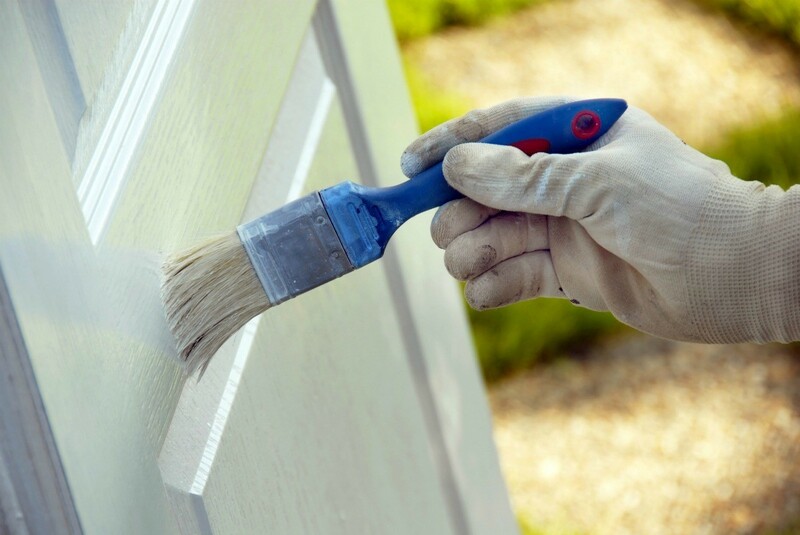 To make sure your paint adheres to a previously stained wood surface, you may need to prepare the wood. This is a guide about painting over stained wood. What is the best brand of primer and paint to use to paint dark brown stained, plywood, flat panel kitchen cabinets? I would recommend an oil based primer. Kilz is my all time favorite. It does have an odor so plan on doing it on a day when you can open windows for air. Anytime you are painting surfaces that could have grease on them you have to use an oil base primer first. Water base will peal. After you use your oil base primer you can then use a water base paint or your choice and color. I also recommend Kilz paint, kit is a heavier paint, covers well without drips the only paint for me and I have tried many many brands. We ran into this when we redid the house prior to moving into it. To do anything, you have to clean and/or strip the varnish finish off or your paint will continue to separate and 'slide' off. Finding the right stripper was interesting. www.prattandlambert.com was the only brand, got it from a furniture store. Our local hardware store had us try many, many brands. My 3 story house is 100 years old and a mixture of woods from the open stairways, leaded windows, built in hutch with leaded fronts, etc was a challenge to match in refinishing colors. The hardware store manager came up with 3 color blends to get all woods the same shade. Our kitchen, we ended up doing a Danish oil, walnut color, and re polyurethaned them. Could not think of the extra work to prep and paint (have 27 cupboards doors in the kitchen). Very difficult to undo OLD varnished to recover with paint. We are in the process of painting out our kitchen. One of the doors looks like it has had a wood stain or has been oiled, it is rather dark and we want to paint it a pastel shade. Can I just use an undercoat and paint normally or will I have to rub it all back? Clean the surface and get rid of all the oils and dirt that have collected on the surface. Because you said it is the kitchen, you really can't skip this step if you want the paint to adhere properly over time. If the wood has a varnish or gloss sealant over the stain, you'll need to lightly sand and tack the sanding dust off. Wipe down thoroughly to get rid of it all. If it is an oil base product on there now or an unknown paint or stain then proceed with an oil base primer. Usually the primer can be tinted to get in the shade your top coat will be. Let primer dry thoroughly. Finish with a good quality top coat. Since this is a kitchen, I would suggest at least a semi-gloss finish so it is washable. If it is a high traffic kitchen, I would go for high gloss. Apply with good quality natural bristle brushes for the results to turn out well. If you need a second top coat, let the surface dry thoroughly or you will have a disaster on your hands. I've done this before and you will be amazed at how new your kitchen will feel when your project is complete. If you put on all new hardware it will feel like you got all new cabinets. I had the same situation 3 years ago, also in the kitchen. The cabinets were a dark walnut stain which I wanted to change to off white. I washed each component with a TSP solution to degloss and thoroughly clean the surface. Next I applied a Kilz basecoat tinted to the color of my topcoat, which I call "French Vanilla". Lastly I applied 2 coats of Kilz semigloss latex paint.